Give your bedroom retreat a fresh take on vintage-inspired style. 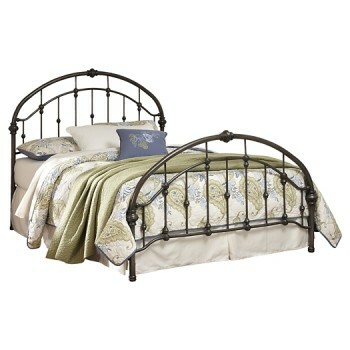 We love every detail of this queen metal bed, from its double arched design, to its decorative castings. Its cottage-chic sensibility has us drifting away to a simpler time and place. Mattress and foundation/box spring available, sold separately.